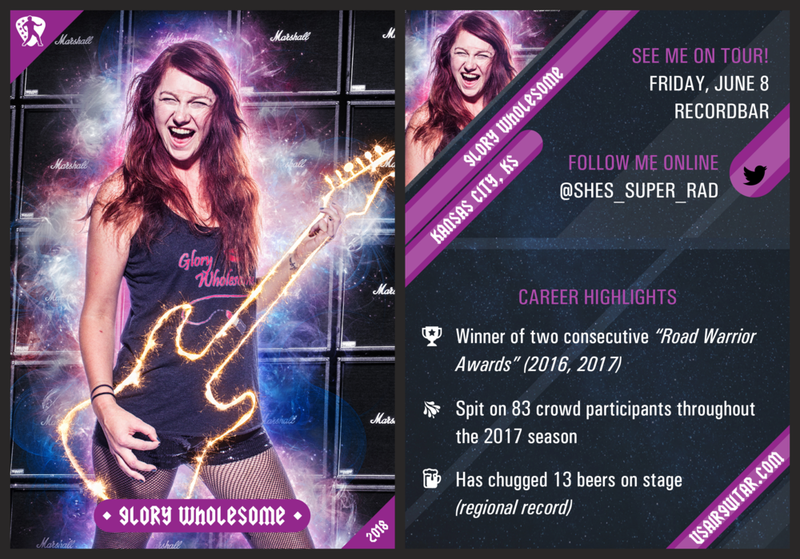 2018 US Air Guitar trading cards: Glory Wholesome! You can buy a full printed set of 2018 USAG trading cards here! 2018 US Air Guitar trading cards: Jinja Assassin!